New Farmer: Welcome to Pisgah Farm, located in Spofford NH - check out their veggie starts below! New to the Market this Week: lettuce, bunched radishes and spinach from Pete's Stand, daikon radishes from Dutton Berry Farm, and red kale from Harlow Farm! And new varieties of mushrooms from Wichland Woods. Also Currently Available This Week: apples, arugula, bok choy, chard, cucumbers, leeks, mushrooms, potatoes, radishes, rutabagas, salad greens, spinach, turnips, herbs, and more! We also have delicious bread, bagels, yogurt, pudding, cheese, eggs, maple syrup, granola, sauces, condiments, and local meat. 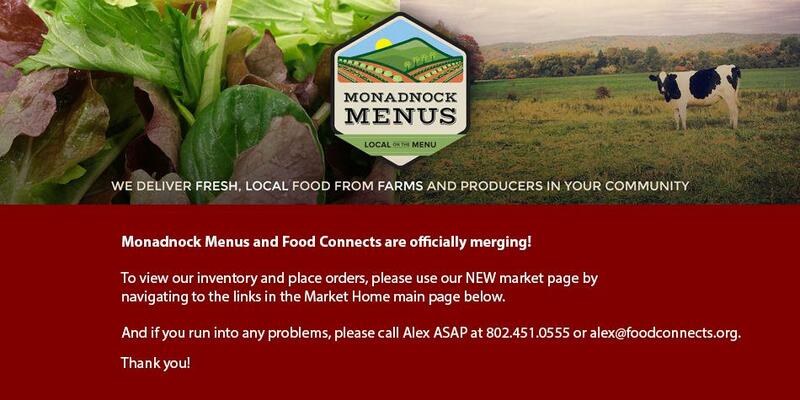 Keep checking back as more of our NH and VT farmers start listing their delicious produce! June Harvest of the Month is Herbs! Check out the website for some great recipes and free educational materials for your cafeteria or shop. Pete's Stand is a small vegetable farm nestled in the fertile Connecticut River valley of Walpole, New Hampshire. Started by WWII veteran, Pete Janiszyn, the farm is now operated by his son, Mike, and grandson, John. Pete's Stand grows a wide variety of crops and offers fruit grown by other nearby farms. Stop in and visit us on Route 12 in Walpole- we harvest every morning, so you know you are getting truly fresh, healthy produce. Open for the 2015 season. Check in for new and tasty veggies from Pete's! Compliments all meats & cheeses. Use as a spread on sandwiches or add to your egg or potato salads for a tangy treat. FEATURE INVENTORY Lovely large savoy-leaf spinach. Description: Lovely large savoy-leaf spinach. 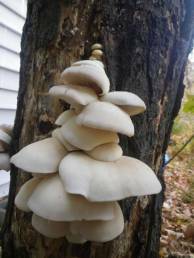 Copyright © 2015 * Harvest to Market Online * All rights reserved.